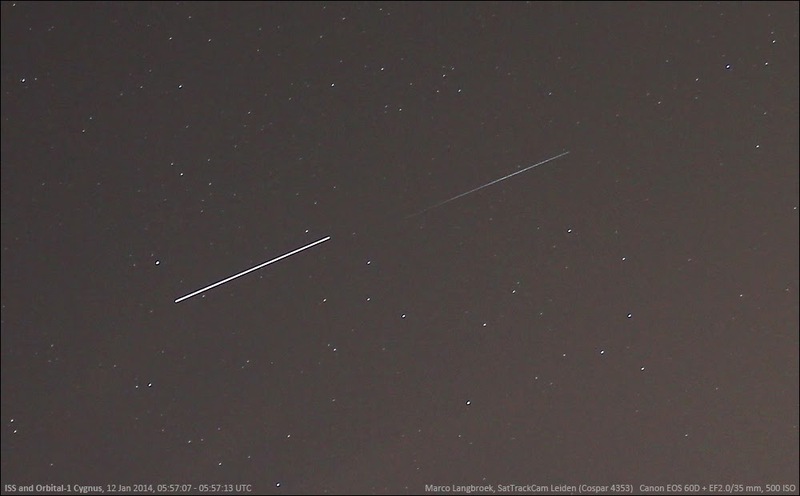 This morning near 6:56 local time (5:56 UT) I had a visible pass of the International Space Station ISS and the Orbital-1 Cygnus commercial cargoship bringing supplies to the ISS, five hours before the latter would dock to the first. The pass had a maximum elevation of 28 degrees, in the S-SE. The Cygnus was faint: for most of the pass it was not visible by the naked eye (nor visible in my imagery, taken with an EF 2.0/35mm lens at F2.2 and 500 ISO). Near 5:57:05 UT however, it briefly flared to mag. 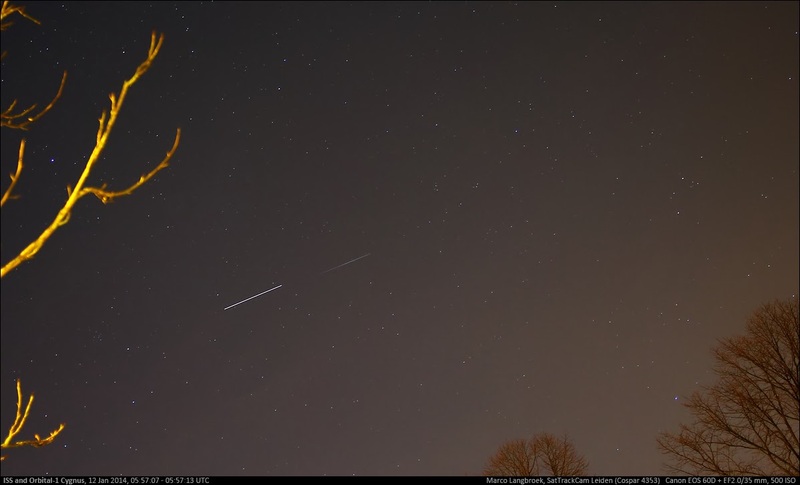 +2 and the duo ISS-Cygnus then became well visible as a result, low in the sky at about 23 degrees elevation. They were quite close, with a pass-time difference in the order of 8 seconds. As always, seeing two spacecraft this close was an impressive (if brief) sight!